This view shows the west side of the building with a corner of the Canning Dock in the foreground. 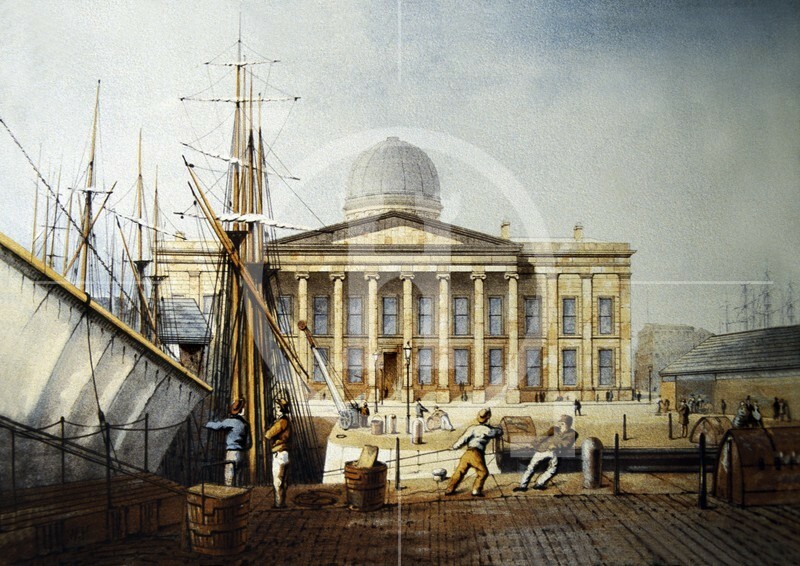 The foundation stone was laid in 1828 on the site of the filled-in Old Dock. The building was completed in 1839. The Custom House returns to the Exchequer in the following year amounted to almost £4.5 million.